We’ve just spent a few fun-filled days at Disneyland for an awesome hosted summer media trip celebrating the Return of the Classics and all the Summer of Heroes experiences! After closing for a time to start the construction on Star Wars Land (opening in 2019), the Disneyland Railroad and Rivers of America attractions have all just reopened!! We took a ride on the Railroad, rode around on the Rivers of America, watched Fantasmic and more! And it all looks SO good! There’s new rockwork, waterfalls, and pathways, yet all the nostalgia and fan favorites remain! I have SO much to share about the area and what to do! But it’s way too much for one post! So, to celebrate the reopening of these classic rides with all their rich history, I thought it would be perfect o give you some fun facts that Disney has shared about these classic attractions! This classic Disney attraction has been a favorite among guests since the park’s opening day on July 17, 1955. 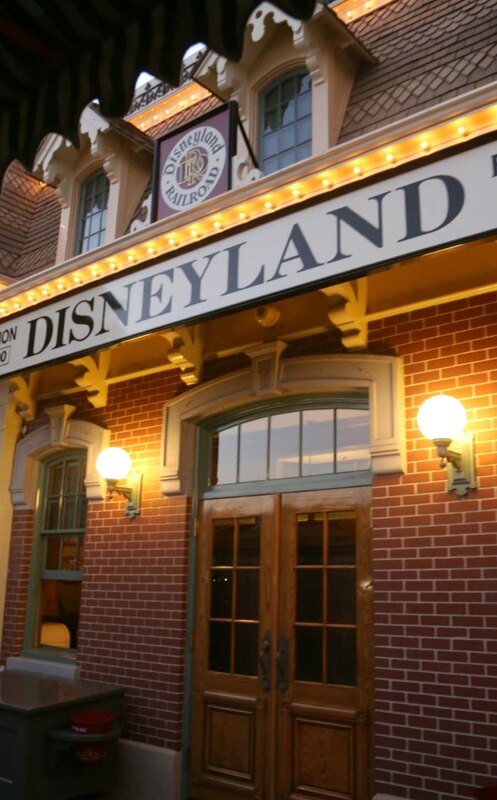 The Disneyland Railroad is an authentic steam-powered train, one of the few still operating anywhere. 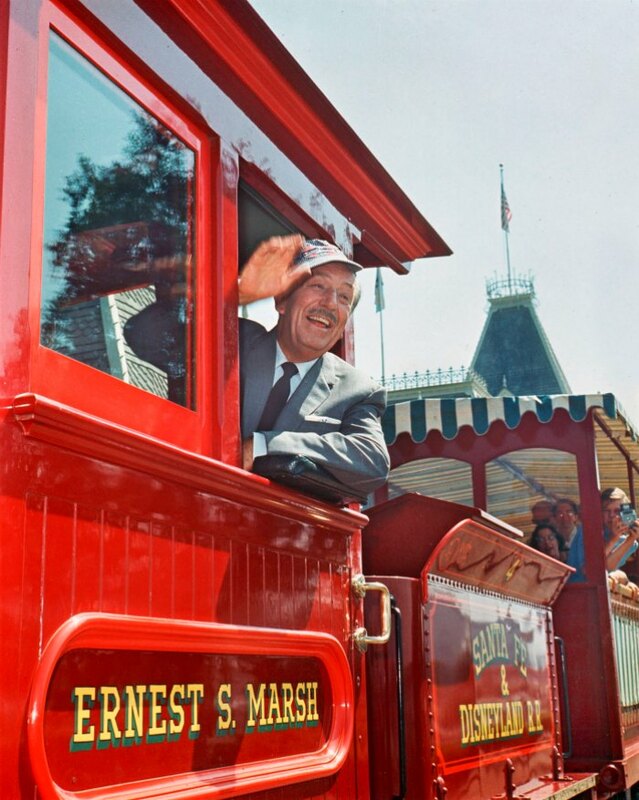 Walt Disney was a noted train enthusiast and built his first railroad in his backyard. Called The Carolwood Pacific Railroad, this 1/8-scale train debuted in 1950 and featured a custom-built, steam-powered locomotive that encircled his property. The engine that ran along Walt Disney’s private track was named the Lilly Belle, for his wife Lillian Disney. A model of the Lilly Belle engine is on display at Main Street Station. 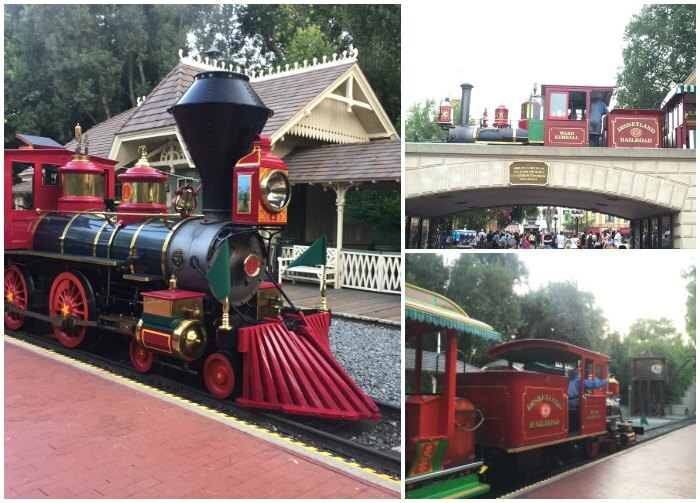 The Disneyland Railroad includes five meticulously restored, working narrow-gauge trains and four sets of passenger cars. Each engine has been thoughtfully named after a selection of locomotive legends. The lone exception is the Ward Kimball, named after the Disney Animator who fostered Walt Disney’s passion for the railway. The oldest locomotive is the Fred Gurley, which was built in Philadelphia, Pennsylvania in 1894 and owned by the Godchaux Sugar Company in Reserve, Louisiana. The Primeval World and Grand Canyon dioramas both were featured in the 1964-1965 New York World’s Fair. In July 2017, for the first time, the Disneyland Railroad began making a left hand turn on its tour of the park. Previously, the route was circular. 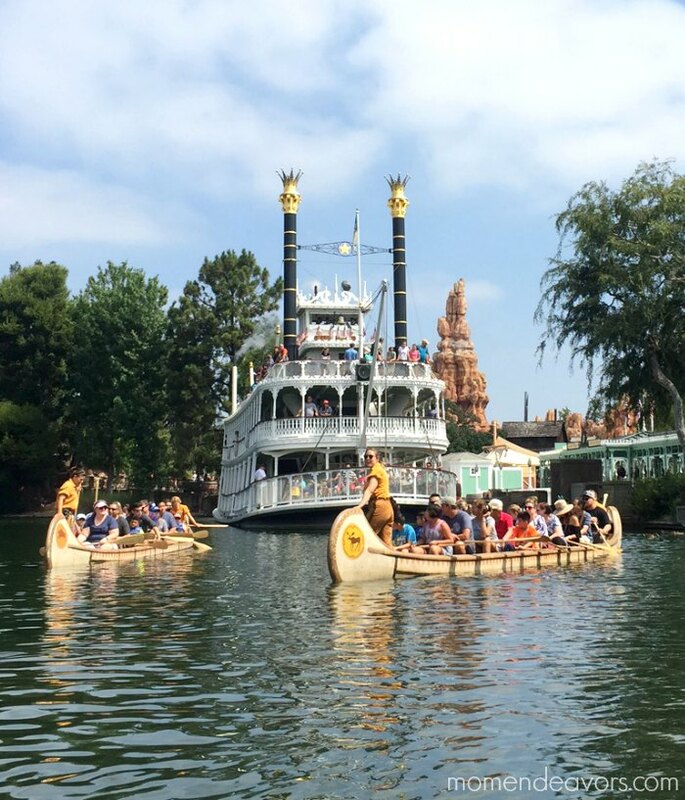 Davy Crockett’s Explorer Canoes are 35-foot-long, free-floating canoes and rely on the arm power of guests. In the 1950s, Fess Parker, the star of the Davy Crockett TV series, was a frequent visitor to Disneyland. He has a shop window dedicated to him in Frontierland. The areas guests paddle though are based on Disney’s True Life Adventure films, such as Beaver Valley, Bear Country, Olympic Elk, and The Living Desert. The canoes follow the same path as the Sailing Ship Columbia and Mark Twain Riverboat around Pirate’s Lair on Tom Sawyer Island. Tom Sawyer Island is the only attraction designed by Walt Disney himself. Pirate’s Lair on Tom Sawyer’s Island is accessible only by raft, exactly the way Tom Sawyer and Huck Finn travelled along the Mississippi River. Tom’s and Huck’s pirate names are carved into the walls of their tree house. Fishing rods were once available for guests to fish for catfish, perch, and bluegill. Six different pirate flags (five based on the actual flags used by famous pirates) can be found on the island. The Mark Twain Riverboat, which is 28 feet tall and 105 feet long, is a 5/8 scale sternwheeler that runs on steam. The ship’s maiden voyage was on July 13th, 1955, for a celebration of Walt and Lillian’s 30th wedding anniversary. Walt Disney named the boat after one of America’s greatest writers and Walt’s personal hero, Samuel Langhorne Clemens, who was a riverboat pilot as a young man. That experience inspired his pen name; “mark twain” is a riverboat term that means a vessel is at a safe depth. The Mark Twain is one of the few attractions where food and beverage are encouraged on board, so guests can bring their favorite beverage and enjoy the 12-minute, relaxing voyage. 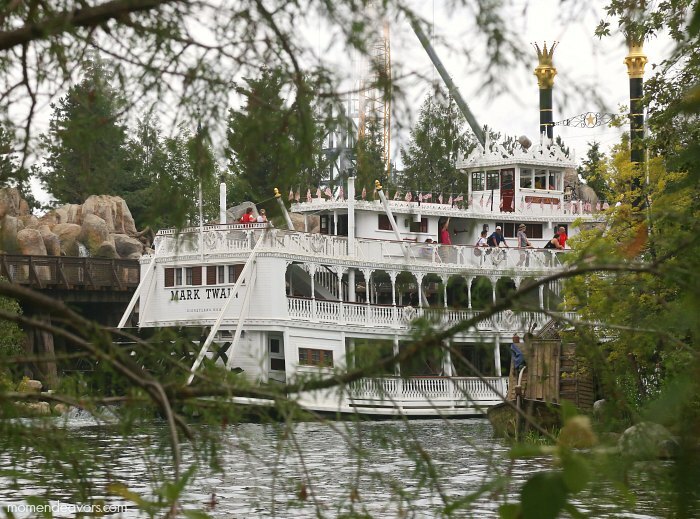 The Mark Twain closes at dusk to prepare for Fantasmic!, and during that show the boat is helmed by Mickey as Steamboat Willie. 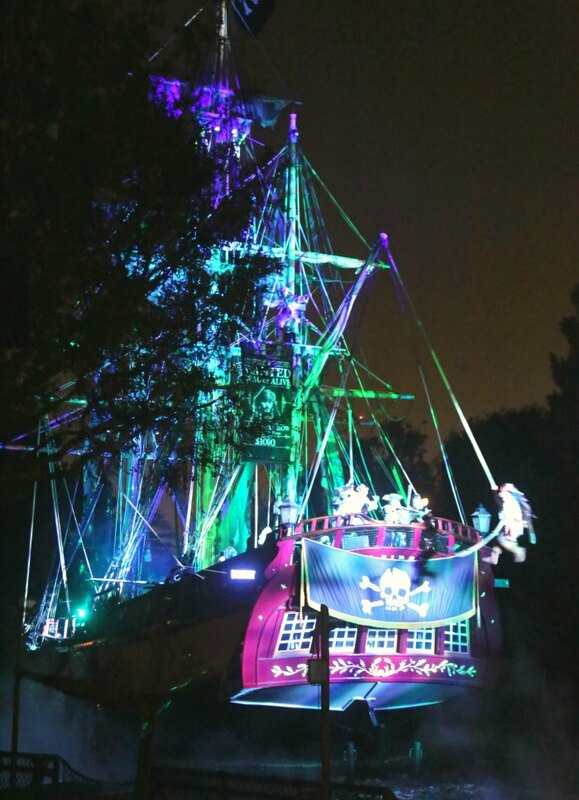 The Sailing Ship Columbia can only be found at Disneyland Park. Once onboard, guests may stand near the Helmsman and offer to help steer the ship. The ship is a tribute to the Columbia Rediviva. It was originally built in Plymouth, Massachusetts in 1787 at a cost of about $50,000. The carved wooden figure at the bow of the ship is a woman known as “Columbia,” the Spirit of America. An American flag with 13 stars and stripes, representing the 13 original colonies at the time the Columbia Rediviva sailed, flies in the wind at the stern of the ship. The ship is docked at Fowler’s Harbor. It is named after Joe Folwer, a retired navy admiral, who oversaw the construction of the Columbia. Aren’t all those facts so fun?! I LOVE the rich history of Disneyland and this area of the park specifically! My parents always talk about their childhood memories of Tom Sawyer’s island and the Rivers of America rides! So, it’s extra special to take our kids there now. The updates are really great! Stay tuned for more Disneyland posts coming soon and make plans to visit the newly re-opened Rivers of America on your next Disneyland trip! Reasons to Ride Guardians of the Galaxy – Mission: Breakout! Disclosure: Disney hosted us for the purposes of this coverage. As always, all opinions, experiences, and love of Disney are entirely my own! Thank you so much for sharing all of these fun facts! I never knew where the pen name Mark Twain came from! Where does the railroad turn left? I can’t tell from the current Disneyland map. And do you recommend that we take the railroad straight to Toontown at park opening to meet the characters? We have two littles with us, and we are not sure we can go there without tempting our three year-old with all the sights and distractions! Thank you!